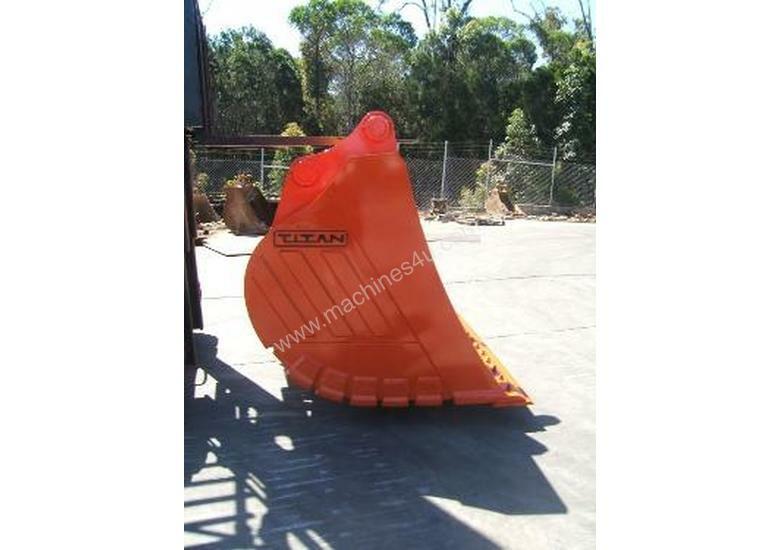 Whether you're digging a trench, excavating a site or have a more specialised job, Titan Manufacturing has the right earthmoving bucket for you. All our buckets are heavy duty, built with a bisalloy front, thick skins and heavy duty wear strips (excludes Batter Bucket). - No Cheap Imports! Made for strength… Made to last! 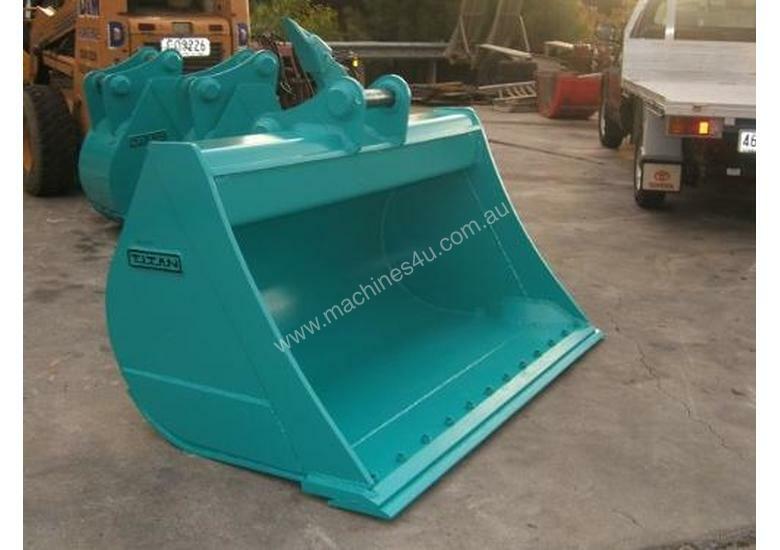 We stock a large range of earthmoving buckets for you to choose from including the versatile 4 in 1 Bucket, Batter Bucket, 20t Dig Bucket, heavy duty Rock Bucket, Specialty Bucket with centre ripper, Sieve Bucket, and Specialty Trench Bucket. If you can't find what you need, we'll custom-design a bucket to your specifications. From one tonne to 100 tonne excavators, no job is too small or too big. 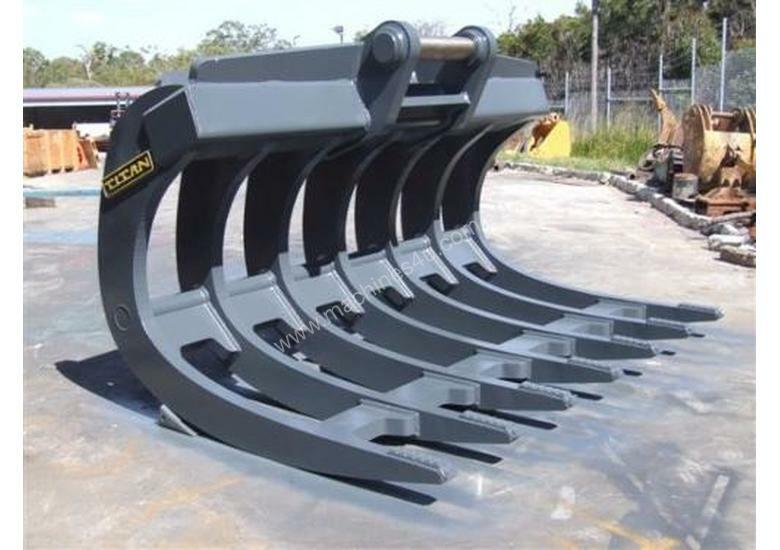 If you require some seriously heavy-duty buckets for 100+ tonne excavators, no problem, we can handle it! Our workshop manager can meet with you to discuss a bucket design and shape that will work for you and provide detailed drawings so you can see exactly what you're getting. General purpose bucket. Used in normal conditions. Available in a variety of sizes, with or without teeth and the option of bolt on side cutters. Comes in variety of sizes. Useful for screening debris from top soil. Lighter duty bucket, supplied in wide sizes to increase capacity. For use in cleaning of ditches and bulk loading of top soil. Bolt on edge is standard. Same as standard batter bucket but with a tilting head attachment. Can be used for precision work such as batters and drains and final trim work. Gives the operator full radial control of the cutting angle. The unique design means it is possible to continuously vary the cutting edge relative to the inclination of the machine. 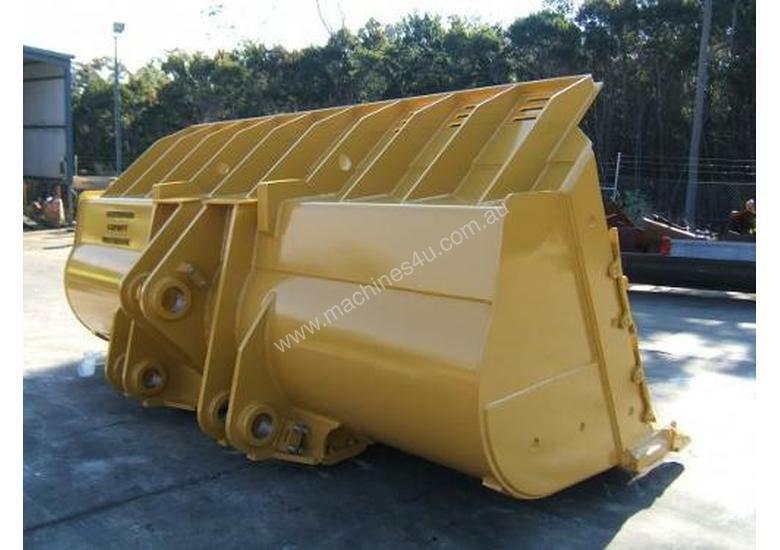 Extreme heavy duty bucket made from high tensile material with side wearplates and heavy wearstrips. For use in abrasive and rocky soils or blasted rock. Side cutters are optional. Loader style buckets are available to suit all makes of tractors, loaders and backhoes. They are available in sizes from 0.6 to 1.2 cubic meters. Optional Bolt on Reversible Cutting Edges and Fold Over Pallet Forks are also available for these buckets. 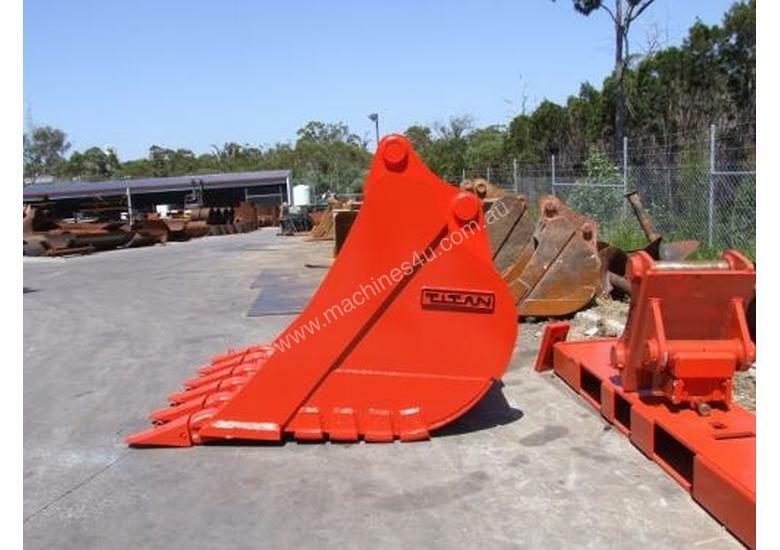 A large mining and road construction company working in many countries around the world needed a large quantity of earthmoving and excavation attachments. In their fast-paced industry they didn't want to have to wait long for the equipment they needed. We were able to supply over forty attachments including Batter Buckets, Dig Buckets, and heavy duty Rock Buckets in less than 3 weeks. They were thrilled with our service and quick turnaround time.